This is one of the most iconic business hotels. The Mutiara Hotel is situated a few minutes away from the central business district of the city. It is located close to a number of shopping and commercial centres. The hotel is situated at a distance of 15-min drive from Causeway. 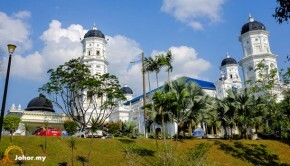 From the Senai International Airport, Mutiara Hotel is 40 minutes away. There are a total of three hundred and thirty six rooms and suites in the hotel that offers a sufficiently large workspace. The public areas are offered free internet access at high speed. The Mutiara hotel offers not just quality but exceptional service in all aspects. They treat their guests with the utmost care and take care of all their needs. Their service builds up a special business ambience. The waiting service consists of highly attentive people who take care of every single need of the guests during the stay at the hotel. Apart from catering to the requests and demands of business and groups, they also cater to the request of their individual guests. They also deliver diligent services to the guests when at Dewan Johor, the ballroom. The rooms and suites are luxuriously fitted and well furnished. The beds are comfortable and cosy. The rooms are offered with all basic amenities to create a homely feel. Some of the most common facilities offered in the room include IDD telephone, hair dryer, electronic key system, and others.